It is with profound sadness that the family of Hubert Vernon Parks announce his passing at the Dr. Everett Chalmers Hospital, Fredericton, NB on April 2, 2019. Born on June 24, 1946 in Saint John, NB he was the son of the late Hubert Vernon Sr. and Monica (MacNeil) Parks. Hugh will be missed by the love of his life of 40 years, Lana; daughters, Heidi Ingersoll (Anita), Shelley Wiggins (Tom); son, Stephen Parks (Holly); granddaughters, Sarah and Anna Mew; also survived by his sister, Gayle Murphy (Norman). Hugh was a kind, tender-hearted husband, father, "Gramps", brother, brother-in-law and friend to many. He was an accomplished and respected draftsman who was very proud of his business, HP Home Plans. He touched the lives of many through his work designing their homes, apartments, and condominiums. Visitation will be held Wednesday, April 3, 2019 at Faith Baptist Church, 525 New Maryland Hwy, NB to share memories of Hugh from 1:30 to 3:30 pm. 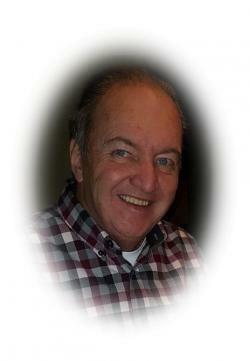 A Celebration of Life Service will follow at 4:00 pm with Pastor Larry Matthews officiating. A private graveside service and interment will take place at Faith Baptist Church Cemetery at a later date. Memorial donations may be made to the Alzheimer’s Society or a charity of the donor’s choice. Personal condolences may be offered through www.bishopsfuneralhome.com. The family would like to thank all the staff of 4SE (DECH) for their exceptional care in the past six months. Thank you to Dr. Tom Barry, Dr. Gillis-Doyle, Dr. Gordon McDonald, Dr. Schaus and Dr. Feltmate. We have appreciated your care so much throughout Hugh’s journey.